Protecting those you love begins with confidently checking all of the boxes on your estate planning checklist. By engaging in estate planning, you can protect assets, minimize estate taxes, control your future financial and health care decisions, and prepare your estate for an easy transition to your heirs. With the proper steps, estate planning brings peace of mind for the whole family and can be a gift for generations to come. More than simply drafting a Will or trust to dictate how you want your assets distributed after your death, a comprehensive estate plan involves making provisions for a wide range of scenarios. You may wish to make special provisions for a spouse, create trusts to protect minor children and grandchildren, or take steps to ensure assets are not subject to an adult child’s divorce or bankruptcy. These are common scenarios for today’s families. Second marriages and blended families have their own particular estate planning strategies. A well-drafted estate plan can help you and your family avoid lengthy and costly court proceedings, minimize taxes and save on attorney's fees. Although no two estate plans will be identical, there are a few must-have elements every estate planning checklist should have. Let’s take a look at the contents of a successful estate planning checklist, so you can see how yours measures up. Some individuals think they don’t need a Last Will & Testament unless they have substantial assets. However, this document is an important instrument in your estate plan. The Last Will & Testament is a legally binding document setting forth who you would like to receive your property upon your death as well as who you would like to leave in charge of your estate. Your Will works to ensure all of your property is distributed based on your wishes. This critical document can also help minimize estate taxes. If you have a young family, you can use the Will to appoint a guardian for your minor children or dependent loved ones with special needs or disabilities. A Durable Power of Attorney is a powerful legal document where you appoint a trusted loved one to handle your financial affairs in the event you become incapacitated. 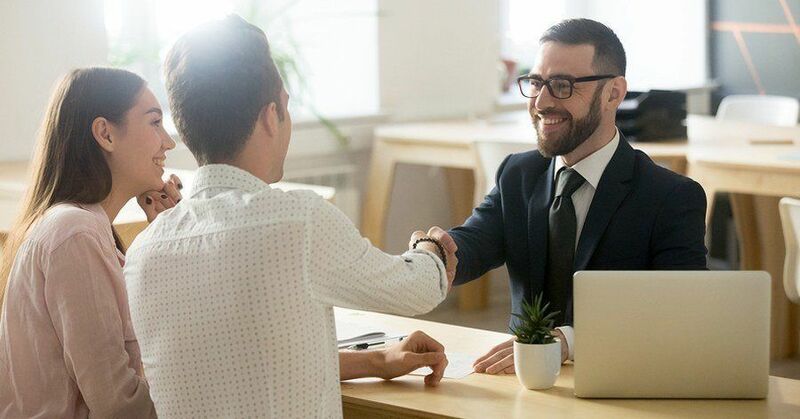 You can give your agent wide or limited powers to do specified things on your behalf, such as manage finances or property, handle income, and make gifts and asset transfers. Without a Durable Power of Attorney, the courts may have the power to make decisions concerning your assets via a guardianship proceeding. Part of the trio of advance directives, a Health Care Proxy is a document wherein you name an agent to make medical decisions on your behalf and communicate your wishes to medical professionals if you're no longer able to do so yourself. Advance directives are powerful legal documents that ensure your wishes are carried out to your specifications. A living will is a type of advance directive that takes effect if you are terminally ill and a decision needs to be made regarding end-of-life care. With a living will, you'll specify your wishes regarding life-sustaining medical practices, such as artificial nutrition and hydration, CPR, and even pain management. When you create a living will, you make your own decisions and choices. Your family is never faced with deciding for you. 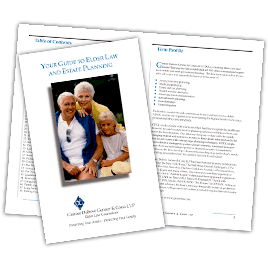 For more than 20 years, the award-winning Genser Cona Elder Law firm has helped clients throughout Long Island and New York create comprehensive estate plans. We'll work closely with you to understand your needs and create a plan to ensure your wishes are carried out to your exact specifications. Our goal is to empower you and your family to confidently embrace tomorrow! Contact Genser Cona Elder Law today to schedule a consultation.